Sitting proudly at the top of the standings, H2K is hard at work as the playoffs loom just over a month away. After narrowly losing to Vitality and a clean victory against Origen in week 6, I spoke with support player Vander on the split so far, looking ahead, and playing through temporary roster trouble. You recently finished playing against UoL, G2, Vitality, and Origen, and will face off against Fnatic this week. Having completed the perceived “harder” part of your schedule with most of the current top teams out of the way, is there as much focus on the season or is the team already looking towards playoffs? It is still very important to us to win every consecutive game. Our main goal now is to secure top two in the split. It gives us a free BYE to the semifinals, which is very helpful, especially if we want to win the whole split. Also we will be able to book our flights to Rotterdam a bit earlier and save some money. You came up just short of a win against Vitality in a 60 minute game in week 6. What led to the game lasting as long as it did and what contributed most to the loss? What is your mindset in a game that plays out that long? We played bad early game; after Graves TP top we had 3 losing lanes. On the other hand we had a better team-fighting composition, so the enemy team was scared to push our towers and we couldn’t really step out any further. It was a long stall until the fifth drake buff. At this point we had to stop farming and try to regain control of the map by catching targets with our ultimates. Sadly we failed the last and crucial fight and Vitality won the game. You play a big part of your teams vision game, especially early on. Is there a specific emphasis on vision for you is it just in the nature of the role? What is your ideal way of playing the early game as a support? My goal every game is to have lane control, which lets me to push out or move faster than enemy support to any skirmish on the map. If you can do it, warding becomes easier. I am also scared that Forgiven will get mad if we lose lane. Both me and Jankos try to cooperate a lot to setup good vision for our laners. How is shotcalling handled in game and what is the team environment like on a typical day? I think in the first few weeks Ryu was the main shotcaller, but when we lost him other people had to take on the responsibility. Right now it’s much more divided – the worst thing is when the game is really long and one mistake costs you the game – people become scared to make the aggressive call. I think we have good time with each other, everyone plays as much as possible, we definitely aim to win the split. You have a lot of synergy with Jankos, who came with you to the team from Roccat. How strong is your bond inside and outside of the game? What makes you such a strong duo in your opinion? I can definitely say that we are good friends and we really trust each other – both inside and outside of the game. I think we are A good duo, because we like to fight a lot and gain control of the game together. We lived through so many meta changes together, it allows us to understand what to do quickly. We are experienced players at this point. How are you enjoying playing with Forg1ven so far and what bot lanes do you think stack up to you? Are you the strongest bot lane in EU? Which teams are the hardest to lane against? I think we are a really good lane. Forgiven gets a lot of advantages by himself, so my main job is to make him safe and peel off the enemy support most of the time. It makes my life pretty easy. I wouldn’t say any lane is hard to play against. We have our own playstyle that just works most of the time. I think our main weakness that we do not play some champions that are currently really strong. Due to visa issues, you played for several weeks without Ryu. How did the team operate with Selfie in his absence and what was the most noticeable difference between the two? Selfie is way less experienced than Ryu. He often played way too aggressive and got caught in early game. It made games very different for us, because Ryu is probably the best at understanding the pressure game in our team. Mechanically they are very close, so it was all about knowledge and losing the backbone of our team. Who is the strongest team in the LCS? Hard to say right now, I think us and Vitality are the strongest. I am confident we will be better than them by playoffs. I am also a bit scared Origen will catch up and become really dangerous again, their players are both very experienced and skilled – if they tryhard. Looking ahead, do you think G2 will continue to remain at the top of the standings? Who do you see in the finals of the playoffs and representing Europe at the Mid Season Invitational? In my opinion G2 is the most likely team to drop off from the current top three. It is my 3rd season already and I have never played in the final. Our players are really good and smart, if everyone puts theirÂ 110% effort I am sure we can go to MSI. You took down Origen pretty handedly, and they are currently struggling, especially when compared to their performance last year. Do you expect to see them back on top by the end of the season? Are other teams getting that much stronger or is it just growing pains? This split a lot of powerful teams formed. Last year when I was on Team ROCCAT we almost took them down in the qualifiers to Worlds. They were a really good team, but not invincible. I think right now their biggest problem is their personal performance. Every game someone from Origen makes a huge mistake, which turns into a big lead or easy snowball for enemy team. How are you enjoying the current meta so far and what is your favorite support champion? I don’t really care about the meta; I always try to adapt and have my own opinion on strong champions and team comps. I try to follow everyone and see what they are doing, but blindly copying them is not the right way to go. I really like to play Alistar, he is very versatile champion. I want to thank my team and coach for trying their best to improve each day. Big shoutout to H2k and people behind this organisation. And the most important ones – our fans. Caymus is an esports journalist and content creator. You can find him getting caught out in the depths of solo queue, or on twitter talking about Esports. 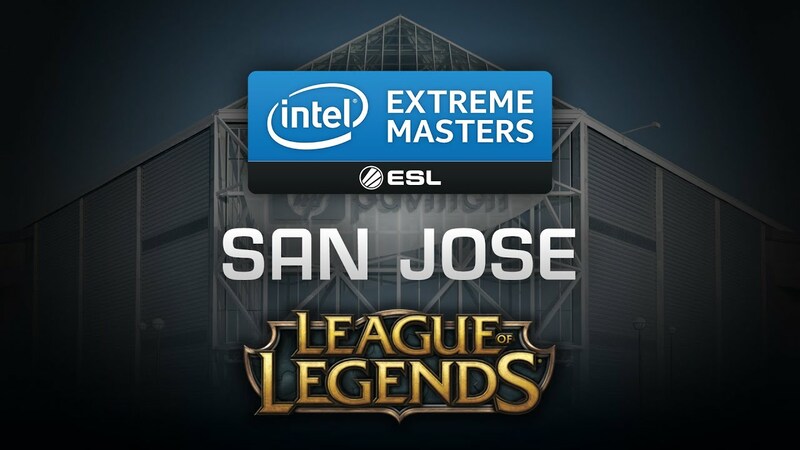 IEM Cologne saw the first time an amateur team took home an IEM title, as well as a ticket to the IEM World Championship. ESC Ever, notorious for taking down 2015 World Champions SK Telecom on their path through the KeSPA cup, edged out one of the LPL’sÂ elite in a 3-2 victory over the Qiao Gu Reapers. We dove intoÂ the games and picked out some stats, like KDA and Game time, and how much – or even if – a team benefits from taking Rift Herald, and threwÂ them together to get a better look at what went down in Cologne.